Business is a popular subject at both GCSE and A-Level. The department is staffed by two subject specialists who deliver the Business curriculum as well as supporting the popular enterprise events in school. Business has consistently shown strong examination results. 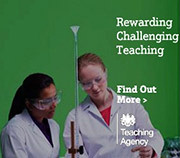 The department also now offers GCSE Economics. These results represent excellent progress in relation to students’ starting points. In Key Stage 4 pupils can opt to study OCR GCSE Business which involves learning about business functions such as marketing, finance, operations, human resources and the external business environment. The course is linear and requires pupils to complete two externally assessed examinations in Year 11, Paper 1 – Business activity, marketing and people as well as Paper 2 – Operations, finance and influences on business. This is a good choice for those wanting to learn about entrepreneurship, accountancy and the nature of business operations as well as those thinking about studying A-Level Business. The OCR GCSE Economics course looks in depth at how economies function and the role of Government policies to achieve economic growth. It is a challenging, theoretical course which focuses on issues such as “How does the Government use Fiscal Policy to maintain economic growth?”, or “How can interest rates be used to manage inflation”. Pupils will study 2 units – Paper 1 – Introduction to Economics and Paper 2 – National and International Economics. The assessment pattern is 100% examination with both external exams being completed at the end of Year 11. This is a useful course for pupils wanting to continue studying A Level Economics or A Level Business. All Key Stage 4 Business students take part in Enterprise Challenge activities, where pupils are set the task of developing an innovative business concept which is then presented through a formal business presentation. This activity is a favourite with pupils as it gives them the freedom to be creative as well as the opportunity to apply their business knowledge. They get their opportunity to enter ‘The Dragon’s Den” with their innovative and often thought provoking concepts. A-Level Business is increasingly popular both at NTS and nationally with many students going on to complete business related degrees at university. We run the OCR Business A Level course which studies 2 units in Year 12: The Local Business Environment and The Wider Business Environment. These include study of Introduction to Business and Business Functions. Those progressing into Year 13 will study an additional unit looking at the Global Business Environment, which includes a great deal of Business Strategy topics. Business Studies is a regularly high performing Nelson Thomlinson School department in terms of “value added” scores. The department is incredibly proud of its repeated strong performance in the highly competitive Young Enterprise Company Programme which is open to all Year 12 students. Each year a company sets up and develops, produces and sells a product and then attends a series of trade events to compete against other schools. In each of the past 5 years NTS teams have reached the National Finals in London out of 22,000 students nationally. 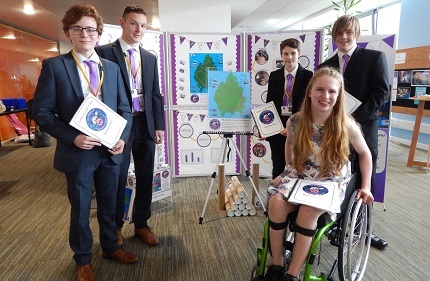 Following the success of Digi Pi in 2014, Cumbria Unwrapped in 2015 and in 2016 the Eduvation team were Cumbria County champions, North East and Cumbria Champions and as such again reached the prestigious London National Finals with their innovative new GCSE Economics Revision Guide and App. In 2017, one of our pupils was a national finalist for the prestigious Young Enterprise Journey Award. 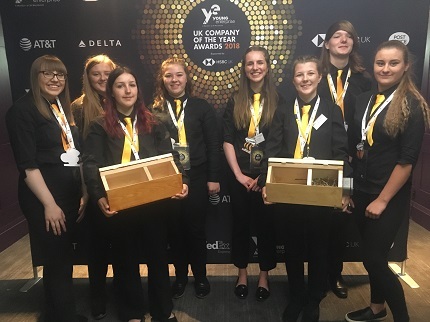 Most recently, in 2018 our team ‘Too Bee or Not to Bee’ also won to go through to the national finals event at County Hall, with their award winning bee boxes to help protect the bee population. For further information please contact Miss Walker or Mr Beechey.